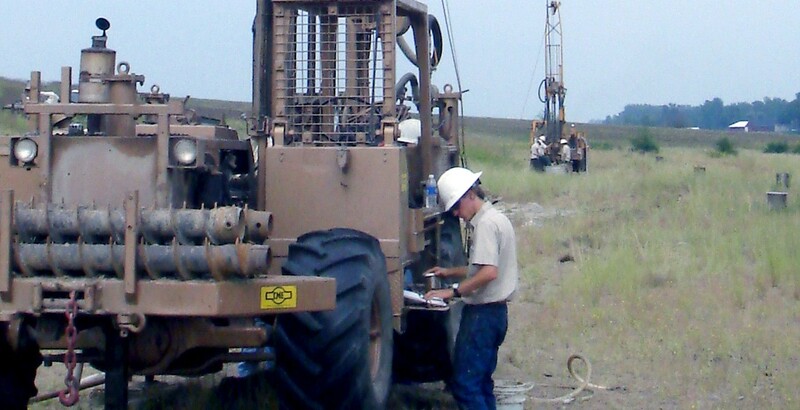 The Corps of Engineers contacted BWP to perform geotechnical drilling at Lake Shelbyville Dam West in January, 2007. A round, straight hole had developed near a park shelter which posed a hazard to the public and could indicate serious unstable subsurface conditions. 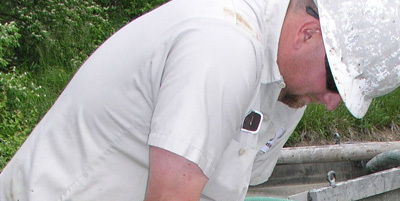 Due to the symmetry of the hole, the Corps expected drilling to confirm that it was caused by manmade factors as opposed to a naturally occurring sinkhole. Due to its proximity to the dam, though, a geotechnical investigation was ordered. Lake Shelbyville Dam is built in an area that was heavily mined for coal during the 1920s. Once mining was discontinued, people began talking about development of the Kaskaskia River Basin for flood water control. Construction of the dam started in 1963 and concluded in 1970. The surrounding area was heavily grouted to fill in gaps and holes due to the mining activities. Additionally, exploratory borings have been performed throughout the area over the past 60 years. Brotcke was issued a Task Order as part of its contract with the Corps of Engineers. The drill rig was set up directly over the hole in question and the overburden was drilled and sampled until grout was encountered at 80 feet. A 4” x 5.5” conventional core barrel was used to collect core samples to a final depth of 177 feet. By analyzing the core, it was determined the hole was a result of man-made activities as opposed to a naturally occurring sinkhole. 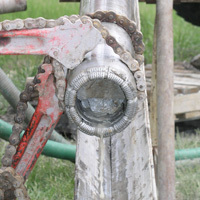 The borehole was grouted to the surface using a two-step grouting procedure to ensure its future stability.